Getting an autoimmune diagnosis often leaves us feeling traumatized and overwhelmed. Add to that the pain, disability, and health crisis that often accompanies the diagnosis, and we can feel like our life is over. This episode is about reclaiming our inner strength and re-creating a vital life again. 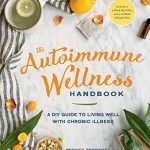 My guests are Mickey Trescott and Angie Alt from AutoimmuneWellness.com, and authors of the new guide: The Autoimmune Wellness Handbook. 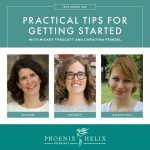 We'll be talking about everything from getting emotional support from loved ones, to putting together a healthcare team, to defining resilience and learning how to face chronic illness from a place of power instead of feeling like a victim. Don't feel like cooking for Thanksgiving? POTG will cook your feast for you and deliver it to your door. Angie is the author of The Alternative Autoimmune Cookbook. She has celiac disease, lichen sclerosus, and endometriosis. Angie went many years without a celiac diagnosis, which resulted in severe nutrient deficiencies that caused numerous hospitalizations, severe brain fog, numbness in her face, pain throughout her ribcage, and daily panic attacks. She describes her life then as one of fear and loneliness. Her life now is night and day from her rock bottom. Her symptoms started to disappear within a few weeks of going on the paleo autoimmune protocol. Her daily pain, neurological issues and panic attacks are all gone. Her mental acuity is sharp, and her emotional state is resilient and happy. Mickey is the author of The Autoimmune Paleo Cookbook. She has Hashimoto's and celiac disease. Her rock bottom was similar to Angie's. Her neurological issues included slurred speech, tingling extremities, and balance issues. Her blood pressure was so unstable that she would almost faint going from sitting to standing. She also had fatigue so severe she was mostly bedridden and lost her ability to work. She was deeply grieving the life she lost and sometimes thought death would be better. Her life now is vastly improved from her rock bottom. She works full-time again. She has the strength to do chores on a sustainable homestead. Her brain is clear, and her life is vibrant. Together, they've written The Autoimmune Wellness Handbook. Their goal is to help others transition from that rock bottom to a vital life again. Both Angie and Mickey's husband's have been incredible supportive during their health journeys. They dedicated their new book to their husbands, for truly, deeply honoring the vow, “in sickness and in health”. But not everyone has that kind of support in their lives. How do we create a support network? Reach out to the people in your life. You'll find the ones you can count on. Explain what's happening to you, and ask for help in small, yet concrete ways. Often our friends want to help but don't know how. When someone says, “Is there anything I can do?” – take them up on it. Ask them to cook you a meal, or run an errand, or come with you to a doctor appointment. Be patient with the people who love you. They aren't living inside your body, so can't completely understand your experience. Often symptoms are either invisible to others or come on so fast it's confusing to everyone. Communicate with them, and give them time to absorb the change your diagnosis has brought to your shared life. connect with the right medical specialist. make an educated choice about treatment. decide which testing is most helpful to monitor your progress. connect with other people with your diagnosis and feel less alone. learn more about your disease and therefore your body. make empowered choices to improve and maintain your health. Treat your first appointment with a new doctor like an interview. You want someone who listens, who understands autoimmune disease, and who is willing to run detailed tests to get to the root of what's wrong. If a doctor won't help you, keep looking until you find one who will. The Autoimmune Wellness Handbook has an Autoimmune Status Self-Test. Online resources: Paleo-Friendly Autoimmune Specialist MDs and Functional Medicine Practitioner Directories. For people who have tried everything and are still undiagnosed, what do you recommend? While it can frustrating to not know why you feel badly, people in this situation often respond more quickly to wellness measures. You can also work with a functional medicine practitioner without a diagnosis, to explore root causes to your symptoms. If you implement diet and lifestyle changes and feel better, that's one thing, but if you continue to feel worse, a diagnosis might be the key information you need to take the steps necessary to improve your health. A diagnosis doesn't cause the health problems; you seek a diagnosis because you're having health problems and want a path to healing. The earlier you get a diagnosis, the more power you have to prevent progression of your disease. Taking charge of things that are in our control. Developing healthy rather than harmful coping strategies. Reframing: Finding positive meaning in challenging life events. First, find your key player. This is the person who oversees your autoimmune health. If you need medication, this might be a physician. If you don't need medication, it might be a naturopath or chiropractor. Someone you trust to help guide your health journey. Next find your support players. This might be an acupuncturist, a nutritionist, a massage therapist, or other healthcare professionals. The process of putting together your healthcare team is detailed in The Autoimmune Wellness Handbook. Trial and error is part of the process of finding the right practitioners for you. Making changes to lifestyle can be so overwhelming that people often feel paralyzed and don't know how to begin. This plan breaks it down into baby steps that are easy to do and build upon over time. By the end of the 12 weeks, you can transform your lifestyle into one that supports your health on multiple levels. One example of a baby step that made a big difference in Angie's life was wearing amber glasses in the evening to minimize her blue light exposure. Her sleep improved dramatically. The Autoimmune Wellness Handbook explores a wide range of dietary interventions, beginning with simply going gluten-free, all the way to the paleo autoimmune protocol. And the book includes 30 recipes and a 4-week meal plan for the AIP, to help people get started. Angie: Developing inner resilience that help you navigate the ups and downs of the journey. And feeling the authority that this is your body, and you are the one who gets to make the choices about how you will achieve wellness. Mickey and Angie blog at AutoimmuneWellness.com. 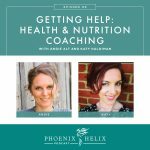 They have a companion podcast to their book, called The Autoimmune Wellness Podcast. And you can find their new book anywhere books are sold: The Autoimmune Wellness Handbook. 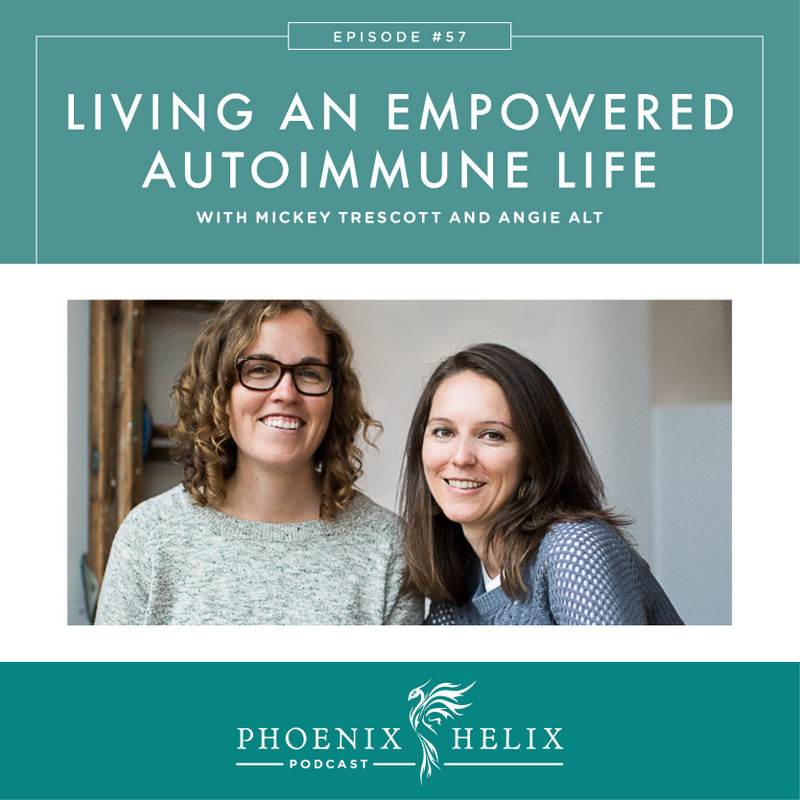 Mickey also has a video tutorial called AIP Batch Cook, and Angie leads an online coaching class called SAD to AIP in SIX, where she helps people transition from a standard American diet to the paleo autoimmune protocol. 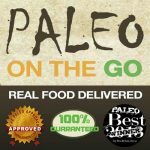 If you purchased A Simple Guide to the Paleo Autoimmune Protocol , you are eligible for some free PDFs – The AIP Food Pyramid, the AIP Foods to Avoid, and an AIP Grocery List. Send your receipt through my contact page. And if you loved the book, please write a review on Amazon.